Campingplass La Noue des Rois er en campingplass i Saint-Hilaire-sous-Romilly, Aube, som ligger ved innsjø/vann. Denne campingplassen har steder med avgrensning og plasser med noe skygge. Det er mulig å leie stasjonære campingvogner. Campingplassen har lekeplass og idrettsplass. For sportslige feriegjester arrangerer campingplassen ulike sykkelturer. Campingplassen har utendørs svømmebasseng, innendørs svømmebasseng med skyvetak og barnebasseng. Det er også vannsklie. Ved Camping La Noue des Rois kan man drive med vindsurfing. Denne inspektøren besøker hvert år Campingplass La Noue des Rois og inspiserer campingplassen for ca. 200 fasiliteter og for andre punkt som forekommer. Inspektøren er en medarbeider fra ACSI og arbeider ikke for campingplassen. First impressions were poor, the general feeling on arrival were not encouraging. After booking in and finding a pitch our feelings were confirmed. The pitch was uneven and gravel placed on the grass to look like a hard standing. As in alł previous comments the site is full of run down chalets with some having dodgy looking tenants. The site had a 2014 ACSI inspected sticker which I do not understand. Please re inspect as like several visitors since 2011 we turned round and left immediately! We visited the site in June 2012 and found that it was poorly maintained and the toilets and showers were particularly bad. The lake was infested with mosquitoes and there was a drowned cat floating next to the bank. The chemical toilet disposal point is outside the reception and is an open grille. This site did not live up to the comments I have read at all. This could be a very nice site, but it is spoilt by the many scruffy and abandoned statics, and the very poor and dirty sanitary facilities. Free wi-fi by reception. Large 'lakeside' site but spoilt by large number of untidy statics. Fairly basic sanitary facilities, many in need of repair & no doubt inadequate when site is busy. Friendly & helpful staff; free wi-fi at reception. Reception very helpful. Large field with unmarked pitches by lake very pleasant. Many very tired permanent caravans. Sanitary facilities tired and poorly maintained. Lighting at night very poor. Site looked generally run down and certainly not up to ACSI standards. We will not be going there again. Good place for a stop over on you way down south or the Alps. Very friendly Staff. Need to put in ACSI book that reception is closed for 2 hours over lunch. No problem because the restaurant is right oppersite. This is a fabulous site. The staff are very welcoming and friendly. It is mainly private mobile homes (though some are rentals) and has a nice community feel to it. The touring pitches are dotted among the mobile homes. Every pitch is spacious, most have a lakeside setting. There are a number of lakes around the site as well as trees and plants. The site is really well planned to give everyone their own space. The restaurant serves lovely food, though we felt the menu was limited. There is an inside and outside pool with slides. This was fine when we were there out of season, but think it could be overcrowded in high season. The campsite is in a lovely country setting, the nearest town being Romilly. The only drawback when we stayed was the Mosquitos!!! We had to buy some heavy duty repellent. Vil du booke campingplassen Campingplass La Noue des Rois eller få mer informasjon? Det går bra med opplysningene nedenfor eller via campingplassens nettsted. 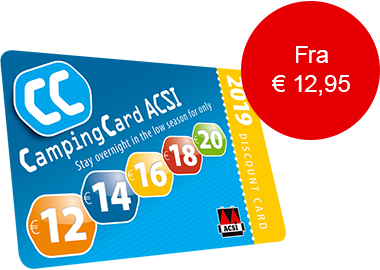 ACSI Eurocampings sender din forespørsel til "Campingplass La Noue des Rois".